With the new credit card laws in effect, you may be looking for a new credit card. 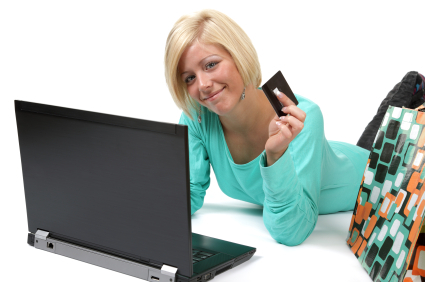 Before you apply for a credit card you will need to access your three free credit reports. By accessing your free credit reports you can examine what your creditors are reporting about you and what an inquiry might find. We will list some of the information you can find on your credit report and how it can affect you and your credit history. Addresses: the places you have lived in the last few years are often listed on the credit report. If you have not moved in the last three years, you may only see your current address. It also depends on when the credit report has refreshed their data about your addresses. This information is used to see if a person moves around a lot or has a steady life at one address. It does help assess risk. Bank accounts: your bank accounts may be listed on the credit reports. At the very least the report will have what banking institutions have made inquiries in the last year regarding you. Inquiries are one of the last things on a credit report, and show companies whether you have had numerous inquiries over a certain period of time and what those inquiries were. It can show whether you have applied for credit cards from multiple companies over the last month or two. The largest section of the credit report will look at your lines of credit. Each line of credit you have ever had will be displayed on the free credit report, unless you have something removed. The lines of credit can be mortgages, car loans, student loans, credit cards, and any other form of credit. Under each line of credit will be the date the account was opened, for how much, and whether the account was paid in full, closed, and closed by whom. It will also show any delinquencies you may have had. Along the bottom of the information per each line of credit will be days or months listed showing whether you were on time, late, or missed a payment. The three free credit reports display information a little differently, so you may also see written conclusions about the card and a reason for that line of credit to be considered negative. If you see nothing negative it means the reports are all positive, which is where you would like your credit to be when you apply for credit cards. Bankruptcies will also be displayed on the free credit reports, along with any charged off debts you might have. Free credit reports are your financial history spelled out in a neat little report for companies and you to access. When you obtain your credit report you will see everything as the credit card company sees it. From this information you can decipher if a credit card company might be willing to give you a credit card. If your credit card reflects a poor history you know that there are limited credit cards you can apply for, such as bad credit credit cards. As a student you may have little to no credit which affects the type of card you can apply for. The main point about free credit reports is that it is a tool for companies to decide if you are worthy of a line of credit and the risk you pose. For you it is a method to check your financial history to see if it melds with your own conclusions. Identity theft is an enormous problem in the United States. If you fear you have been a victim of identity theft or credit card theft, your credit report can show any lines of credit that may be in your name. From this you can tell if there is any invalid line of credit, such as one you never opened and dispute the issue. Identity theft often means accounts are opened and the perpetrator allows these accounts to become delinquent. By checking your free credit reports you can ensure nothing untoward has happened, and that you get it cleared up quickly if something has occurred.